Designers need to make information accessible and available to everyone – but how do they arrive at such elegant and useful solutions to complicated problems? 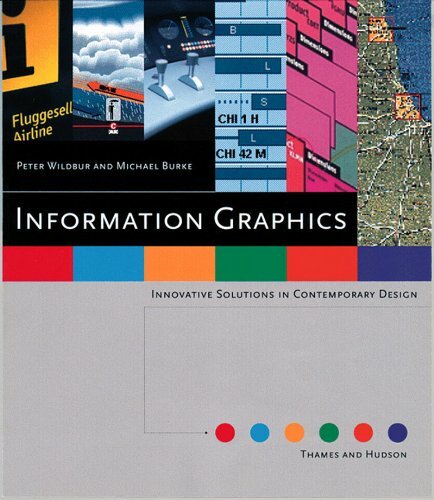 Covering a broad spectrum of material, from transportation systems and body-imaging maps to personal information-manager (pim) interfaces and three-dimensional rendering, this book presents an international selection of work that makes our world function smoothly, including designs by such masters as Erik Spiekermann of MetaDesign in Germany, Richard Saul Wurman in the US and Hiroyuki Kimura of Tube Design in Japan. Organized by type, each project includes detailed commentary on how the design came to be, how it responded to the client’s needs and why it works. Within each chapter are detailed case studies that examine a single project in depth, from the client’s initial request to the finished product.